Get involved with NTU Music! The 2017 – 18 academic year looks to be NTU Music’s busiest and most exciting year to date which is why it is the perfect time to get involved! There are a range of musical opportunities on offer for students and staff at NTU. So, whether you’re a trained musician or want to try something new, why not sign yourself up? You can get involved with several musical ensembles here at a NTU, providing opportunities to develop your musical talents, perform alongside world-class orchestras and soloists and meet new friends from across the university. From the 180 + strong Choir to our smaller ensembles such as the Drumline and Big Band, there is something on offer for every musical ability and taste. 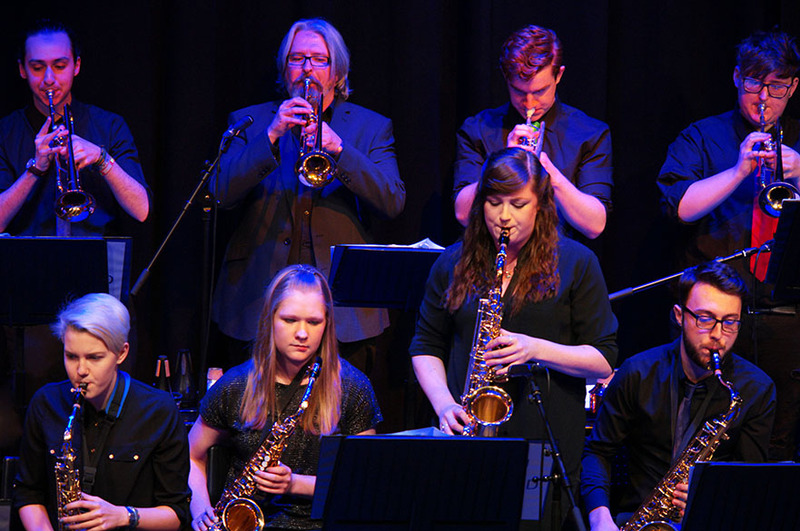 All ensembles rehearse weekly during term time and there are a number of exciting performances held across the city throughout the academic year. The best thing about NTU Music is the opportunity to perform. Over the last year, I've performed in front of thousands of people across the UK and Spain. I also played trumpet alongside one of the best trumpeters in the world – Crispian Steele-Perkins! Harry Nicholls, second year student. We have a fantastic team of instrumental and vocal tutors at NTU catering for beginners to experienced musicians. Tuition takes place at the NTU Music Centre and one-to-one lessons cost £16 per half hour. Read more here. We have various scholarships available for talented students. Scholarships give you an opportunity to receive funded music tuition during your time at NTU. Auditions will be taking place on Thursday 28th September and Tuesday 3rd October. Please contact the NTU Music team if you are interested. Looking for somewhere to practise? There are two practice rooms at the NTU Music Centre which are free to use for all staff and students at NTU. The Music Centre is situated on Goldsmith street on the City campus, in-between the Costa Coffee and the Taste Cafe. Contact the Music team for more information. 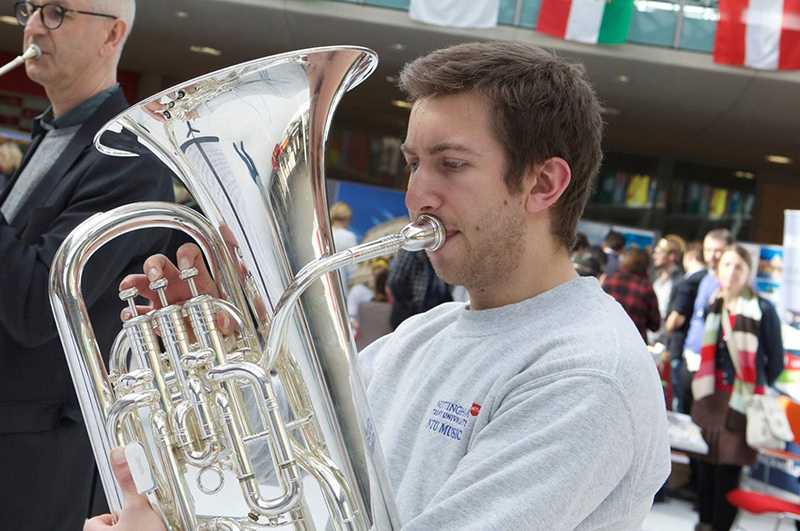 Visit the NTU Music Facebook page to find out more about the NTU Music experience. For more information, contact the NTU Music team on +44 (0) 115 848 4570 or send us an email.